In 2013, to shore up support for a plan to rapidly increase Seattle’s minimum wage, city leaders agreed to let a team of University of Washington researchers have access to troves of confidential payroll information so they could evaluate whether the wage hikes were helping or hurting low-income hourly workers. The decision came as similar debates were playing out in California over state leaders’ decision to phase in their own long-term minimum-wage hike, from $8 in 2014 to $15 in 2022, with businesses and some economists warning of unintended consequences. In July 2016, as Seattle was on its way to raising the minimum wage from $9.47 in 2014 to $15 in 2017 – a 58 percent hike – the UW report came out and painted the effects of the 2015 increase to $11 as being minimal. This prompted sighs of relief from the business community and cheers from supporters of the wage hike plan. Most reviews of previous modest minimum wage hikes had similar results. But the release of an updated report on Monday offered a much grimmer picture. 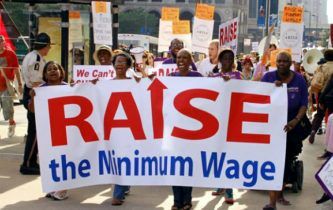 It found that after the minimum wage reached $13-per-hour last year, employers began cutting low-wage jobs and limiting hours to such an extent that the average minimum-wage employee lost about $125 a month despite higher hourly pay. This has led both to I-told-you-sos from economists who had warned that huge wage hikes could backfire and to sharp attacks on the study, in California as well as the state of Washington. “Their findings are not credible and drawing inferences from the report [is] unwarranted,” UC Berkeley economist Michael Reich told the Los Angeles Times. Reich was co-author of a study of Seattle’s minimum-wage hike released last week by UC Berkeley’s Institute for Research on Labor and Employment that reached much more upbeat conclusions about the Seattle experiment. Several economists cautioned against leaping to conclusions about a study that had not yet been peer-reviewed. They also warned of not disregarding past research that reached different conclusions and pointed out arguable shortcomings in the UW study’s methodology. But in some academic quarters, the reputation of the University of Washington researchers and the sheer volume of evidence they had on how Seattle labor markets were functioning produced strong defenses of the study – and criticism of those who were quick to trash the report. Meer also said it was no accident that the labor center and Seattle City Hall released the upbeat report before the downbeat report was released, knowing it would get national attention. Several California cities have raised or are in the process of raising their minimum wages even faster than the state, including Los Angeles and San Francisco. So far, these local efforts haven’t been evaluated with the thoroughness of the University of Washington’s survey of Seattle’s job market. What makes this study so devastating for progressives is that it was done by six doubtless liberal professors in a left wing department of a left wing university in a left wing state. Yet these professors had the academic integrity to report what they found — and got dumped on for doing so. This study largely shows the SHORT TERM effects. The longer term effects will include more automation, as that labor replacement industry gears up for this rapidly growing need. Moreover, this study measured the minimum wage effect only through the end of 2016. On 1 January the Seattle minimum wage jumped to $15. Logically the negative effect should grow — especially for unskilled laborers looking for entry level positions. Teenage employment? That’s going to become less and less available. Here’s the factor that progressives can’t grasp about retail hours. A business can stay open only so long as it covers its VARIABLE costs — primarily labor. When labor costs jump, the “breakeven” point when the business must close it’s doors for the day is much earlier in the evening. It’s going to be difficult to find a burger in Seattle after 10 PM. Several factors lead to fewer hours paid to people when the wages go up. One factor most people don’t grasp is how a business can “make a profit” when they are open with few customers. Usually, they don’t. So why do they stay open? They do so to help pay down the FIXED dollar costs. As long as revenue covers VARIABLE cost (labor, utilities, cost of goods sold, etc. ), a business can stay open. But when one of those costs soars (labor, in this instance), the “breakeven” point may be too high to remain open in the off hours. Hence fewer hours worked. Don’t forget, you’re talking about people the actually believed you could give 30,000,000 people free healthcare and your healthcare costs would go down. Chris Reed is a regular contributor to Cal Watchdog. Reed is an editorial writer for U-T San Diego. 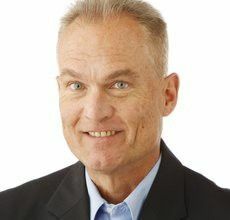 Before joining the U-T in July 2005, he was the opinion-page columns editor and wrote the featured weekly Unspin column for The Orange County Register. Reed was on the national board of the Association of Opinion Page Editors from 2003-2005. From 2000 to 2005, Reed made more than 100 appearances as a featured news analyst on Los Angeles-area National Public Radio affiliate KPCC-FM. From 1990 to 1998, Reed was an editor, metro columnist and film critic at the Inland Valley Daily Bulletin in Ontario. Reed has a political science degree from the University of Hawaii (Hilo campus), where he edited the student newspaper, the Vulcan News, his senior year. He is on Twitter: @chrisreed99.